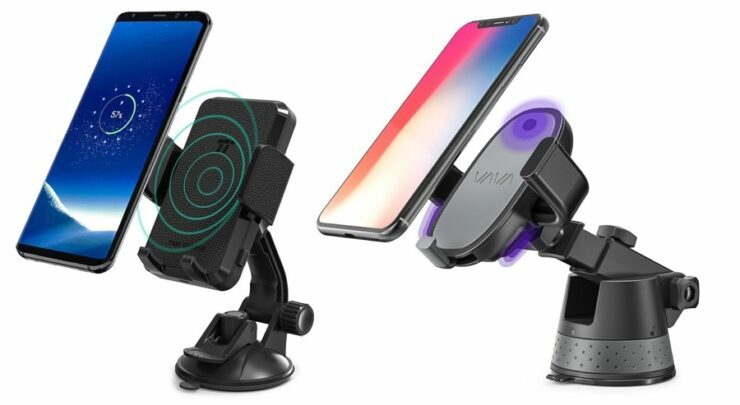 There are two great car mounts available at a discount today. One has a built-in wireless charger, whereas the other one has some interesting tricks up its sleeve. Please note: The coupons will go live at 05/30/2018 8:00 AM PDT. It’s best you bookmark this page for later when everything is live. The first deal we have at hand is from TaoTronics. 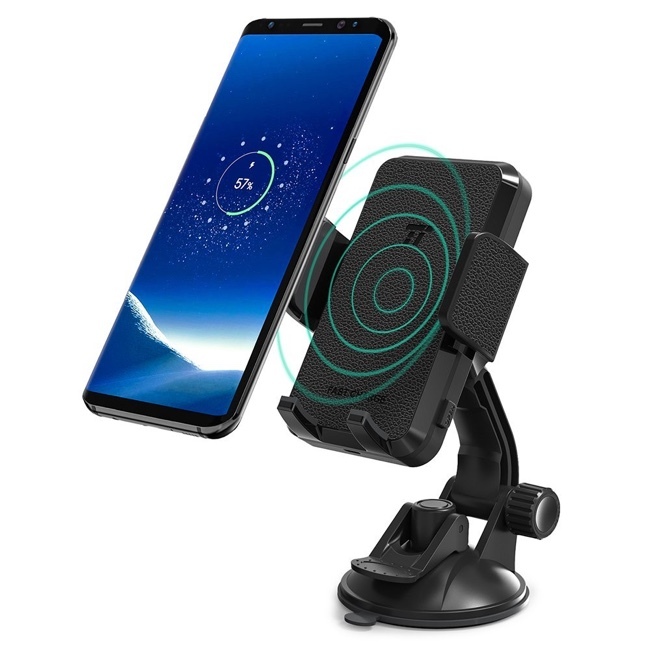 Not only it is a good looking car mount for your smartphone, but it has a built-in wireless charger. This means that devices like the iPhone 8, iPhone X, Galaxy S9 and more can be charged up wirelessly without much fuss. Just stick it in the mount and you’re ready to go. Usually this mount is available for a price of $29.99 but for a limited time only it’s down to just $19.99 if you use the coupon code WTTTSH004 at checkout. While the second mount from VAVA might not have a built-in wireless charger, but it has a few tricks up its sleeve. Whenever you place your phone in the mount, the clamps lock down your phone in place automatically. You don’t have to squeeze the mount to keep your phone in place or anything. But wait, there’s more: it even has a built-in battery that can hold quite a bit of charge as well. It’s not a wireless charger though. But knowing it will serve the purpose of keeping your device powered up throughout the ride is reason enough to grab this mount. 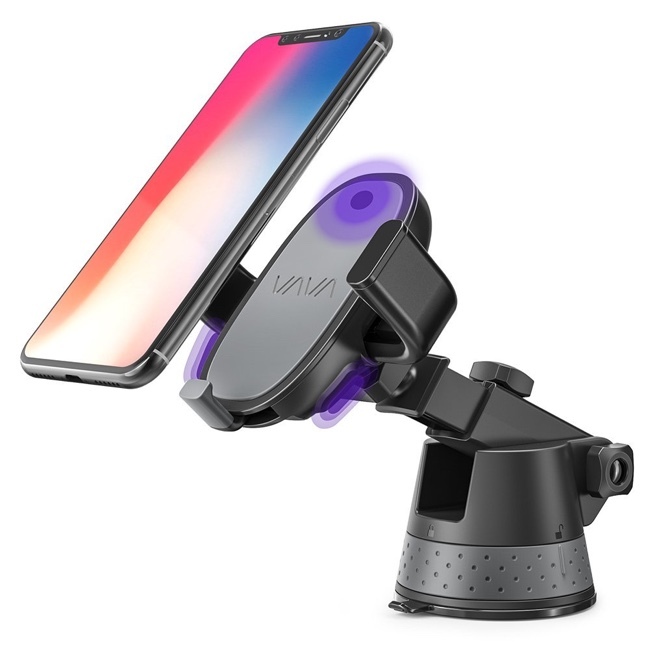 The regular price of the VAVA car mount is $29.99, but it’s down to just $17.99 with you use the code WTVASH008 at checkout.